You know those gorgeous scarves that seem to be draped or sold in a lot of places? that is what viscose is. 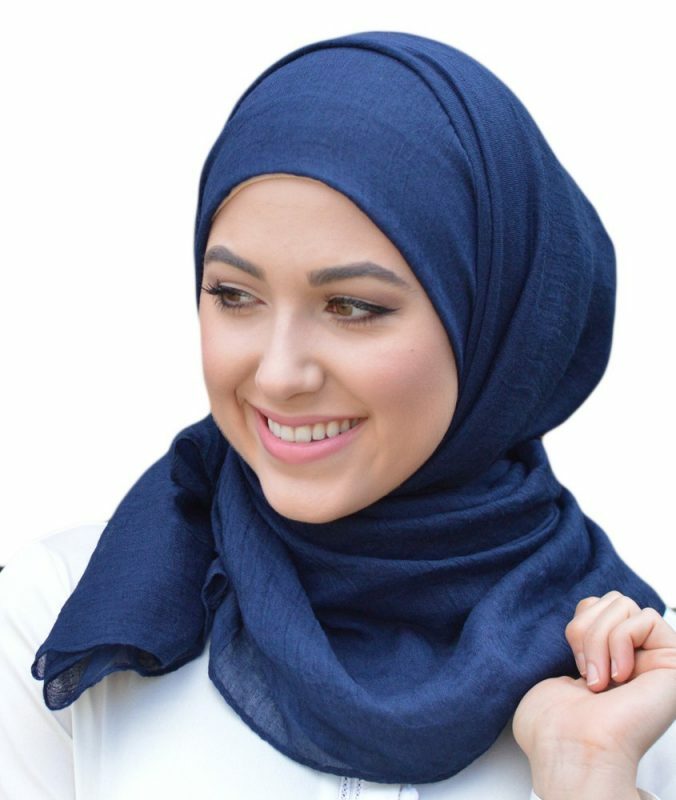 The lightweight material makes it great for many different Hijab styles and it does not give you a heavy or stuffy feeling when you wrap it around your head. It is also one of the most affordable materials and won’t weight heavily on your wallet and is available in so many colours and prints. There is a range of viscose scarves available including plain viscose scarves and printed hijabs. It is a material that does not need a pin (but I always use one as I don’t like to constantly fiddle with my hijab) It drapes around and sits pretty stable, you can wear a large flower (puffy style) underneath it to give some volume to your hijab. Viscose Hijabs are perfect for hot summer days yet at the same time keeps you warm enough on cool winter days. Viscose Hijabs are great for everyday use, whether you wear it to work or just generally out and about, I would not really recommend wearing this fabric on fancy occasions. Viscose can sometimes be purchased in two types of material, one is softer whilst the other one can be slightly stiffer, so make sure you feel the quality of the material.